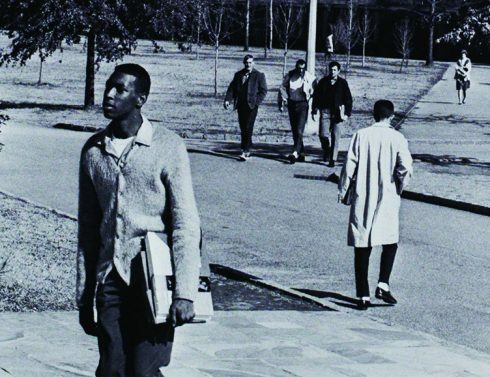 A black-and-white picture of Joseph Vaughn ’68 standing on the stairs in front of the James B. Duke Library, books in his left hand, eyes facing forward, is an iconic representation of desegregation at Furman. Vaughn became the university’s first black student on Jan. 29, 1965, and on Jan. 29, 2019, a student group led by Adare Smith ’20 will honor the occasion with a Joseph Vaughn event, culminating on the same steps. 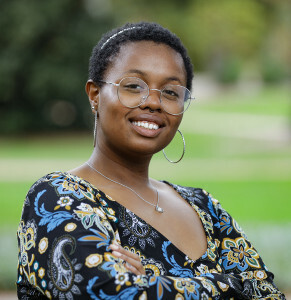 Furman student Adare Smith ’20 organized the Joseph Vaughn celebration, set for Jan. 29, 2019. The activities, sponsored by the English department, begin with a walk, scheduled to depart from the English department lounge in Furman Hall Suite 100 at 12:45 p.m. From there, the walk will proceed to the library steps, where Smith will deliver remarks, followed by a pizza and planning party in the library’s Pitts Room.